Want more storage in the bathroom? Consider using lovely benches! For most people, storage has always been an issue at home – most often than not, we have a lot of it or pretty much limited to none. This is because oftentimes, we shop for new things which meant that we need to keep or store away the old things that needed replacement. As much as we would want to have custom-made cabinets for the house, sometimes, purchasing a cute storage bench was actually what we needed. 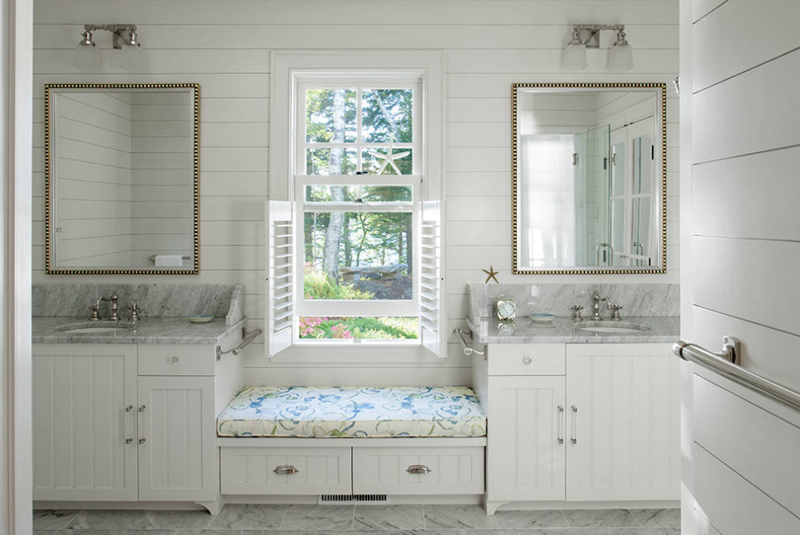 So, for today, we would be showcasing a few bathroom spaces that you could give some inspiration about getting a storage bench is what you and your house needs. 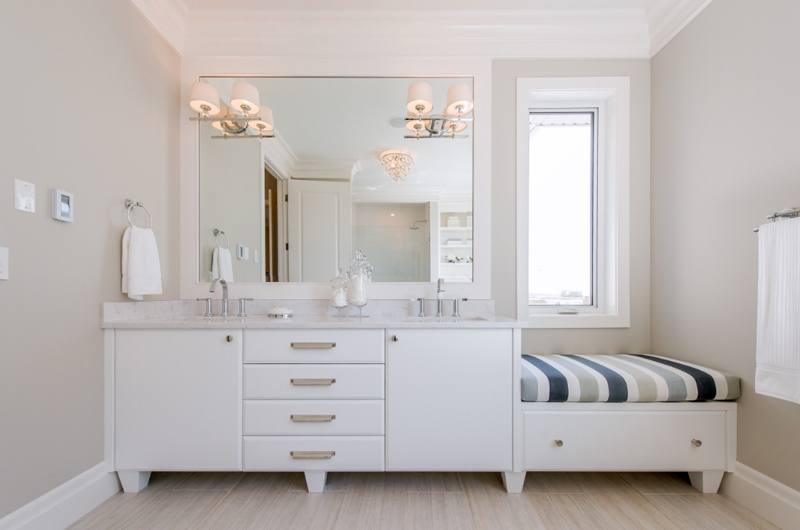 The list of the Storage Benches in 20 Beautiful Bathrooms is something I would suggest that you check out if you think that you needed one or more at home – check out the list below guys. Now, when I saw this beautiful space I thought to myself, ‘white has never been prettier.’ I know that there are white spaces probably prettier than this, but seeing this one made me think that the designer really gave justice to the color and the space as well. The small storage bench on the side is somehow connected to the whole vanity and I think its cool. 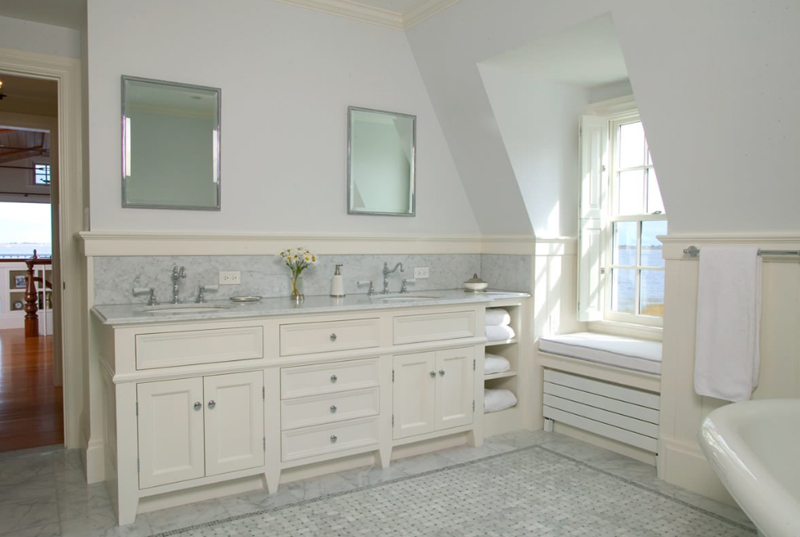 Here is another white bathroom that has a bit of a traditional approach to it. 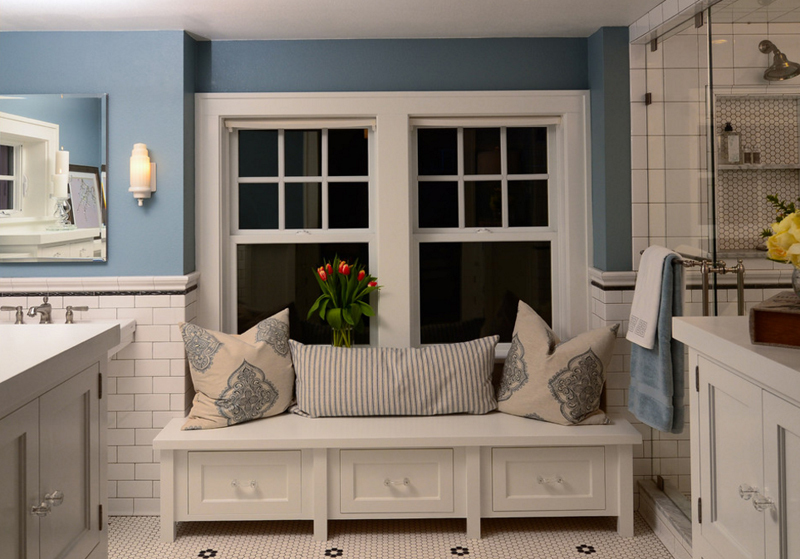 The bench by the window has this pull-away storage that sure has a great look and design to it – simple but pretty workable. This place has double vanity that sure makes this bathroom more interesting. I like how the storage bench in this photo is sandwiched in the middle of two single vanities which somehow gives space and movement for the users of this bathroom. Like the photos before this, the benches are actually in front the windows – pretty common place but sweet move. 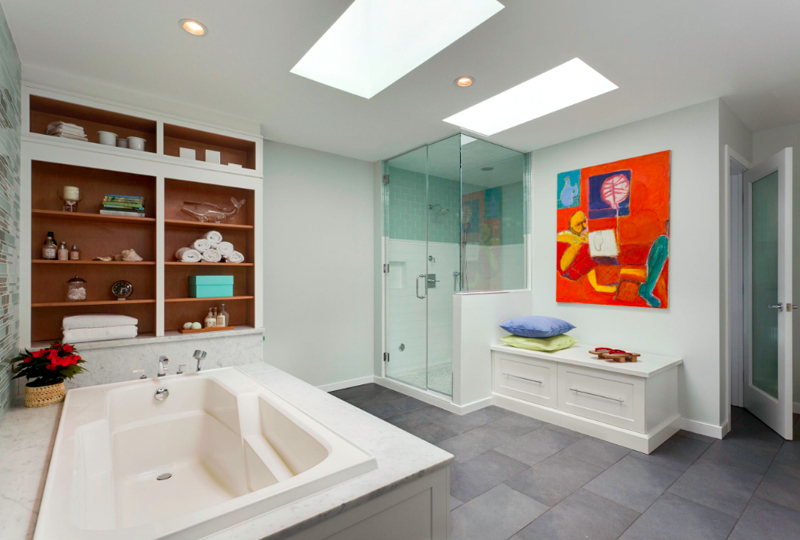 Here is one neat bathroom with a white and blue theme that showcases a space that’s a link between the traditional (almost vintage) design to that of a contemporary one just by looking at the materials used in the construction of the space. Notice the long multi-functional bench in here. 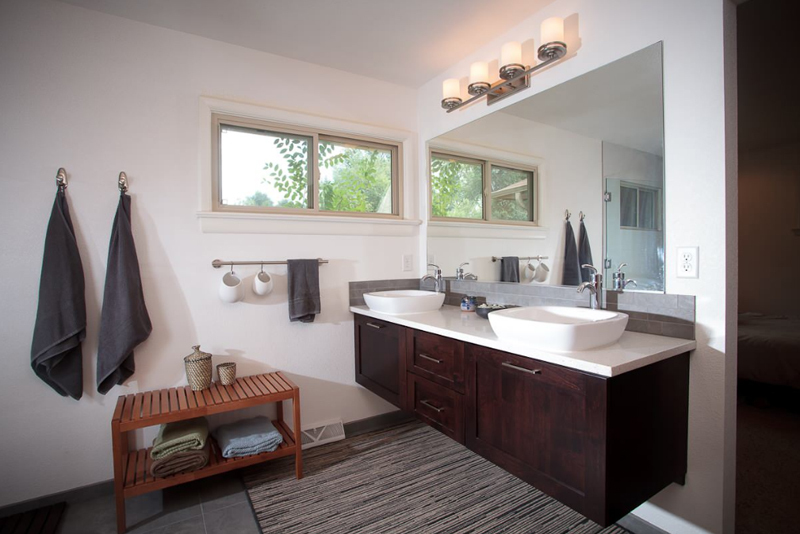 This is in fact one large bathroom – it has everything that you could possibly need when you’re in it – a shower, a tub, a closet space, a bench that doubles as a drawer and enough space for foot traffic especially if this is a shared bathroom. 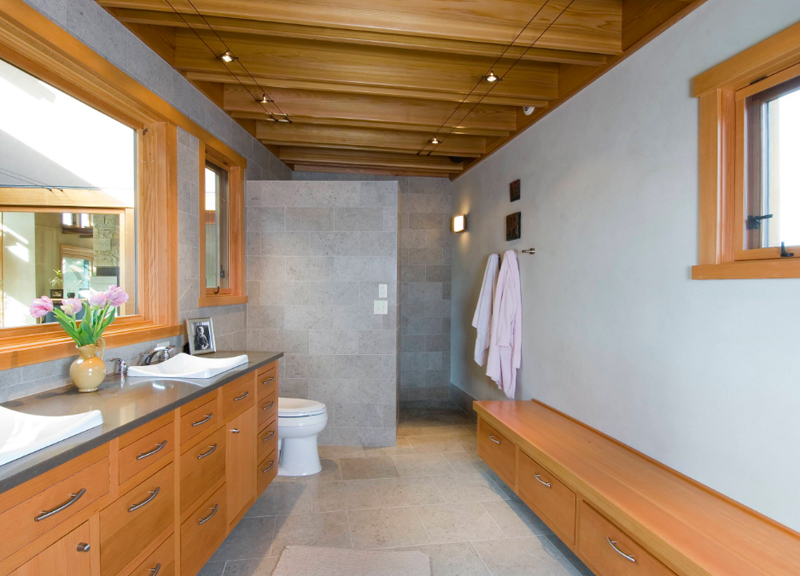 I love the natural look of this bathroom – all the wood material used for the cabinets and drawers, the windows, mirrors and the ceiling gives this bathroom enough natural aura and the tiles give it a more contemporary look and feel. In here, we see a lovely colonial bathroom with awesome knobs and trinkets that any vintage-loving gal would actually fall for. 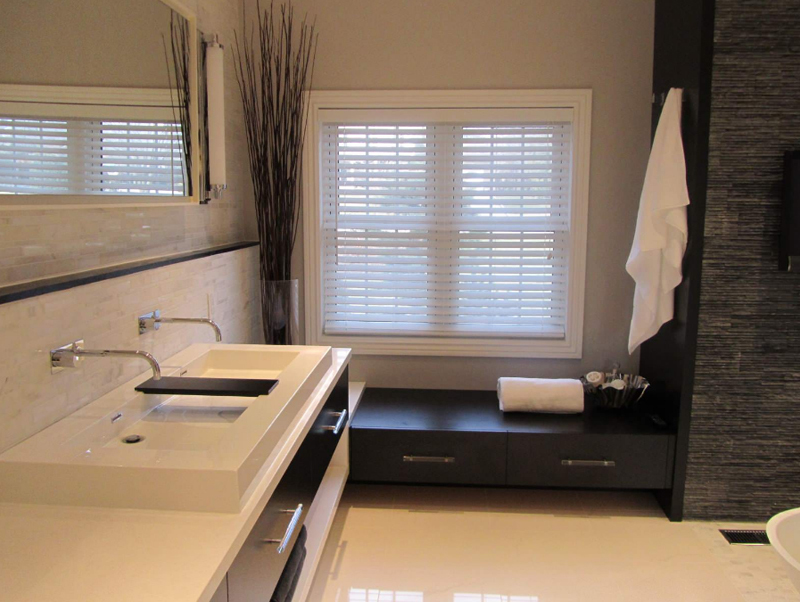 This bathroom has a contemporary approach which anyone would actually like – modular yet fashionable counter with cabinets and a built-in sectional bench which doubles as a storage nook for those things you have in the bathroom that needs keeping. 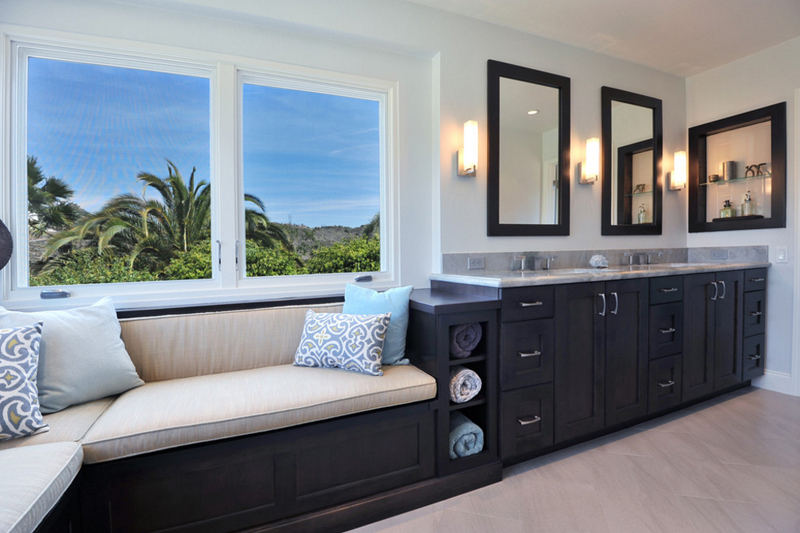 The finish on the cabinets, drawers and bench on this bathroom looks real special. They made sure that the rugs match the color of the cabinets and I think it says so much about how you want to make your spaces look. It’s not a bad thing of course, especially when your drapes match too! I like the light grey colored post beside the storage bench. As much as I think this bench looks exquisite, I think benches like this one should have cushion on them. 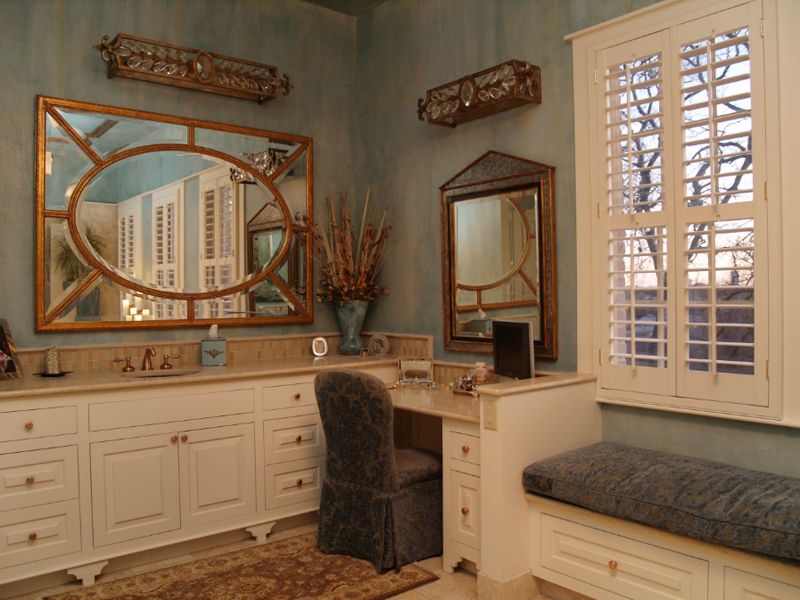 Also, I want you to check out the double vanity which looks really chic and it totally seems perfect for this space. 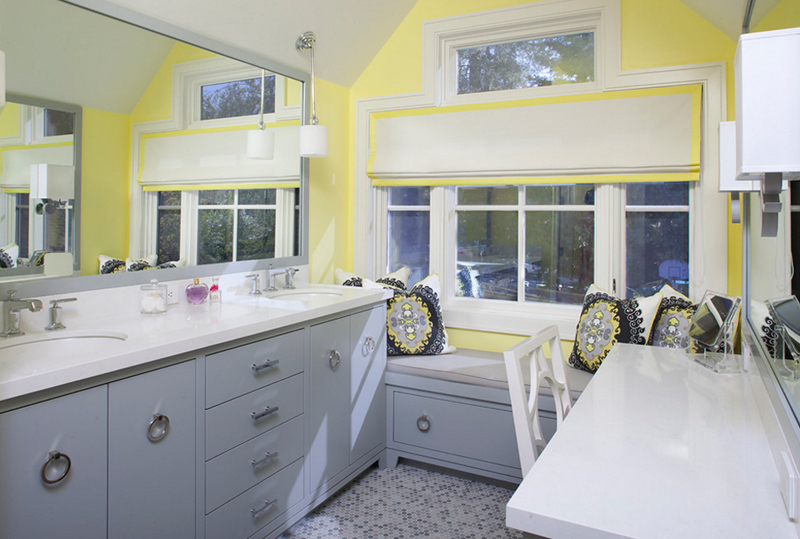 If you search for great color combinations that you can use at home, yellow and grey (or black) is usually one of them. 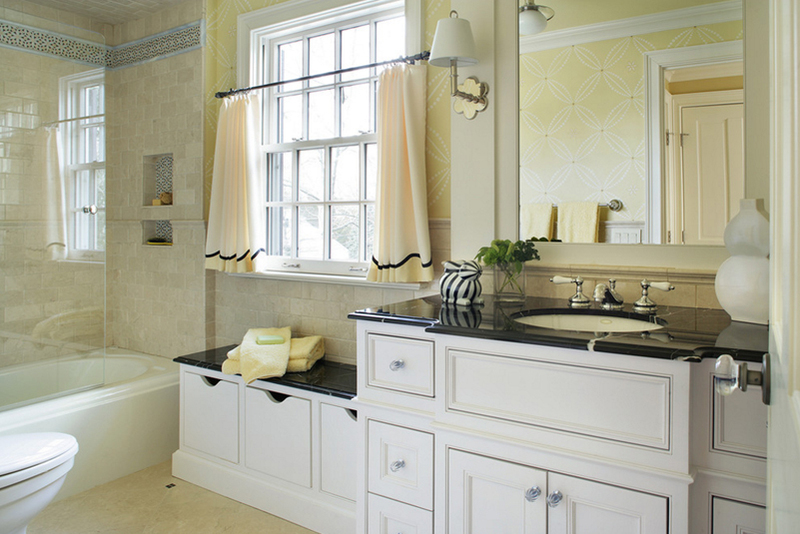 They’re like the day and night that somehow complement each other and look really great together – just like in this bathroom; their combo is a sure hit! This bathroom has that tropical vibe because of the photos of palms on the walls and the plant we see by the tub – can’t say if that one is real or not but it sure match with the color combo and theme of this bathroom – subtle but stunning. The sectional bench in here looks kind of small compared to most sectionals that we usually see in magazines or in real life. This one though seems like something that they intended to actually break the room and it worked – I would think that this was especially made for this bathroom too. 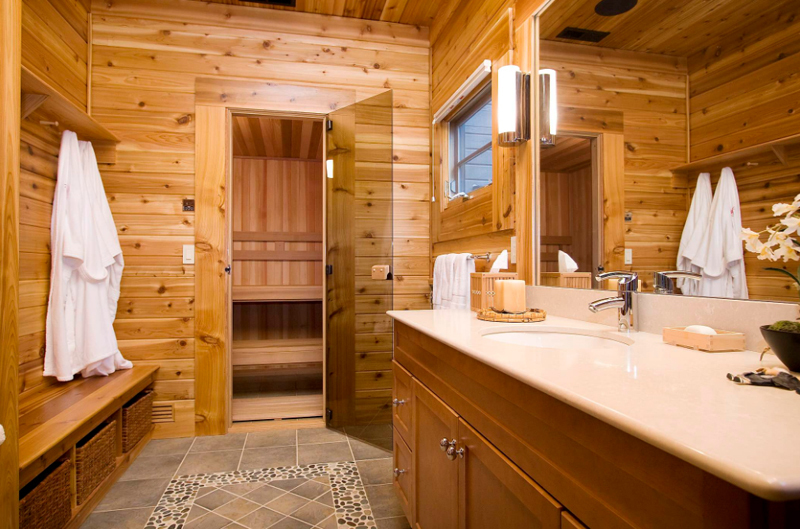 Talk about how a bathroom would look like in a cabin. I think it’s nice to have some wood in your bathroom but not the entire thing because it feels like it can actually burn anytime! Check out the bench that has pull-out baskets – very much similar to that of cabins in resorts. Black and white cabinetry and countertop work, which is matched with yellow printed tiles on the walls and the flooring, is pretty subtle but very neat. The color and material combination sure worked out pretty well. This is what I imagine a 5-star hotel bathroom would look like – very chic, glamorous and real fancy. It looks and feels like everything in here is expensive and breakable, I just love it. The color is specially what I think makes this whole look and theme work – it’s the very glue that holds it together. 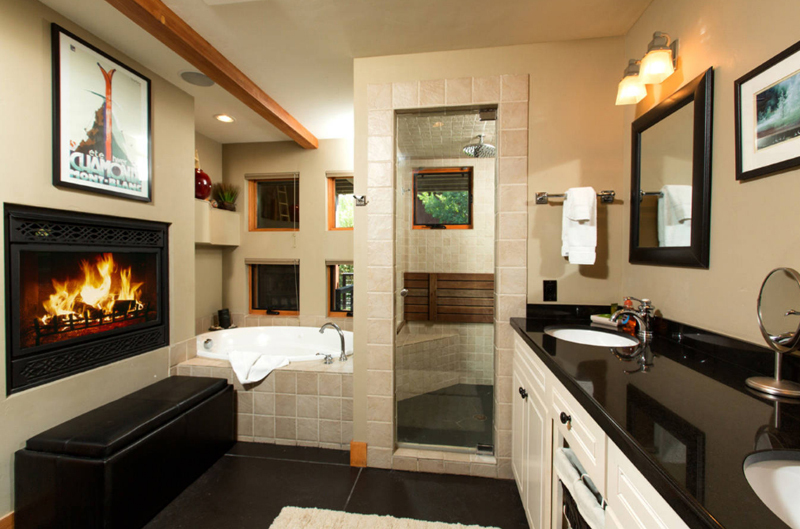 This Gregory Logsdon-designed bathroom looks chic but definitely from a different theme and time. The color and choice of furniture and decors seem old-fashioned but still has that old world love. With all the bathrooms in this list, I feel like this is one space that needs a bit more loving – the hanging cabinets and counter looks real neat but the bench and the wall seems a bit drab. A little more decor or color seems to be missing in here. 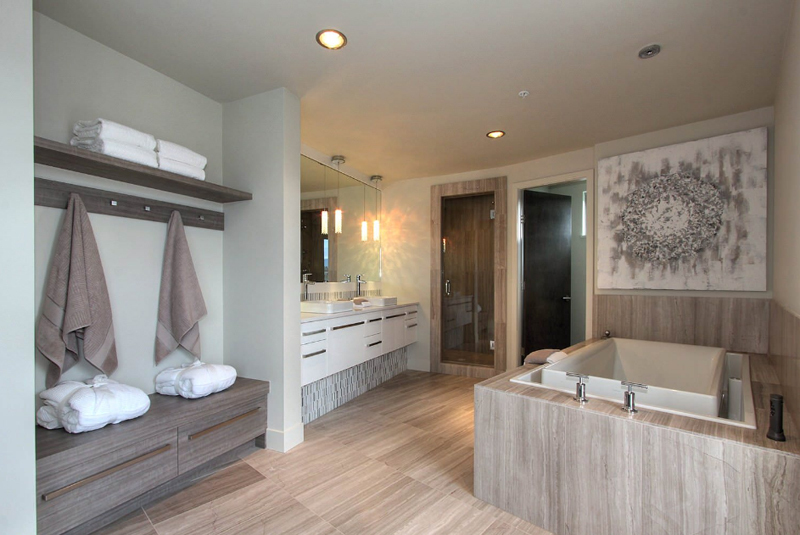 Whenever you feel like stressed from work and if you can’t easily go out of the city to enjoy the beach or something, you can always hop in the tub and enjoy a long bath; and if you own this bathroom, I think that would surely be a really long bath! The one in here is quite similar to the ones we see in bedrooms; but still, I wanted you guys to see that this is also used in baths! 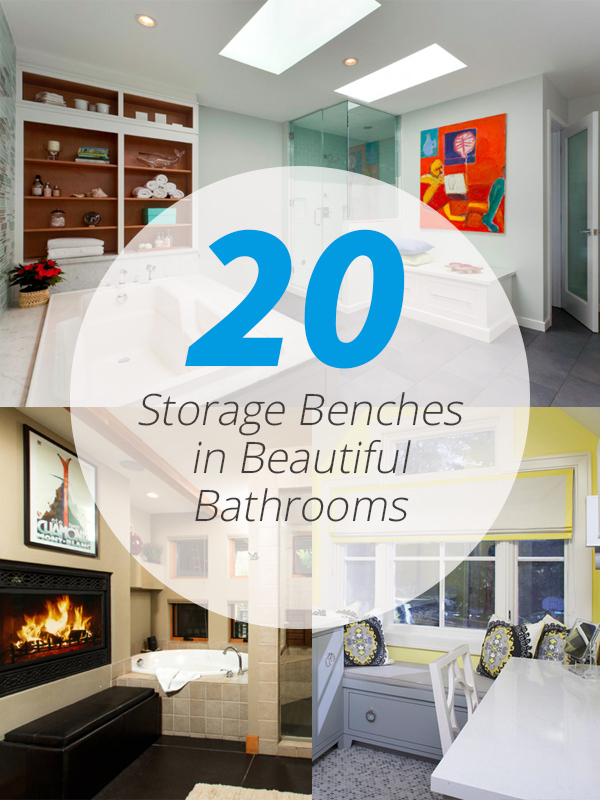 There you have it, a list of Storage Benches in 20 Beautiful Bathrooms that is just so neat and fancy, I think you’d want to actually get one for your own bathroom! Some of the spaces had the storage benches in the onset of the build, but I’m pretty sure that since most of them are modular, you could easily have them for your own homes! For more inspiration, check out the 23 Cool Storage Bench in the Bedroom and tell us what you think about them!